Feeling overwhelmed by all your stuff? Whether you're weighed down by endless clutter, taking steps to scale down your surroundings, or trying to avoid getting trapped in the first place, Becker has practical, paradigm-changing advice! 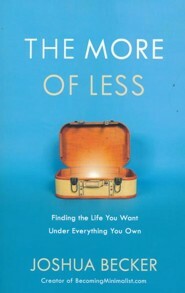 Learn why owning fewer possessions can help you go further in life---and why contentment is essential for happiness. Most of us know we own too much stuff. We feel the burden of our clutter. We tire of cleaning and managing and organizing. Our toy rooms are messy, our drawers won’t close, our closets are filled, and we can’t fit our cars in our garages. The evidence of clutter is all around us. Meanwhile, this constant accumulation of stuff slowly begins robbing us of life. It redirects our God-given passions. It steals our greatest potential. It consumes our limited resources. And it distracts us from the very life we wish we were living. It’s time to own your possessions instead of letting them own you. After all, the beauty of minimalism isn’t in what it takes away. It’s in what it gives. "Maybe you don’t need to own all this stuff." After a casual conversation with his neighbor on Memorial Day 2008, Joshua Becker realized he needed a change. He was spending far too much time organizing possessions, cleaning up messes, and looking for more to buy. "Im so inspired by this wise, timely book! Like so many people right now, Im drawn to the idea of minimalism, but, to be honest, I find myself pretty deeply entrenched in bad habits of clutter and accumulation. Im so thankful for Joshuas clear vision for what life can be when we choose to surround ourselves with less stuff, and how in doing so, we create more space for living and dreaming." "Joshua Becker is a distinguished voice in the modern minimalism movement. Engaging and nonjudgmental, The More of Less masterfully articulates the benefitsand the joyof living with less." "Those of us attracted to minimalism often face a challenge: how do we invite our friends and family into this liberating way of life? With amusing stories and on-the-ground practical advice, Joshua explains how to make your minimalist journey a group endeavor. There are going to be a lot of happy children, spouses, and friends because of this book." 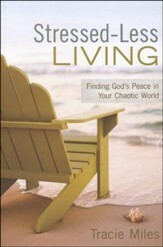 "Ive enjoyed Joshua Beckers message and writing for many years, and this is by far his best work. 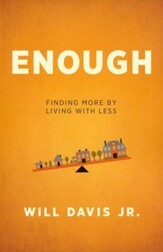 His very practical advice for living with less, together with moving stories from real people living with less, provides the tools and motivation for powerful change. 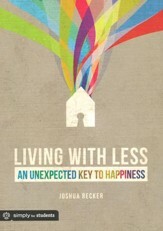 Im in awe of how Becker weaves the step-by-step how to with the moving why to of minimalism." "I opened The More of Less expecting to learn ways to minimize my excess. Instead, I learned freeing steps to maximize my life. Using relatable anecdotes and enlightening revelations, Joshua Becker reveals an innovative approach that adds more meaning to our schedules, personal well-being, relationships, finances, and passions. Dont let the word minimalist intimidate you. The More of Less helps you craft your own style of minimalism that aligns with your purpose. There are no drastic measures required, and no set plans you must follow. Open this book to unburden your life and give oxygen to what matters most." 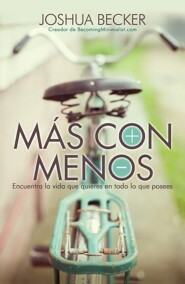 "This is itthe book that will change your life with a surprisingly simple solution: Less can actually mean more. A whole lot more." 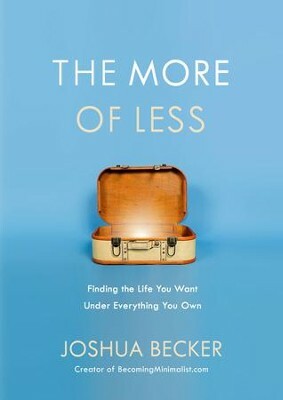 "In his latest book, The More of Less, Joshua Becker leads you through the steps of finding the life you want by getting to the heart of what you need. If you have been looking for a practical, actionable guide to help you find a simpler and more fulfilling way of living, this is the book you need." "People are motivated to change when they grasp three important things: the clear reasons change is needed (the "why"), the clear path of next steps that can be taken (the "how"), and a clear sense that the one calling for change is credible (the "who"). This definitive book on minimalism offers all three pieces. And because Joshua is a longtime practitioner with sound credibility, the reader can rest assured that whatever steps theyll be taking will lead to a richer life of joy, generosity, meaning, and wholeness. If you can read only one book on minimalism, this should be it." "Often our biggest fear about living with less is that we might miss out, but Joshua Becker explains with crystal clarity just how much we have to gain from the minimalist lifestyle. Packed with actionable ideas you can apply today, The More of Less is the perfect balance of instruction and motivation. A must read!" 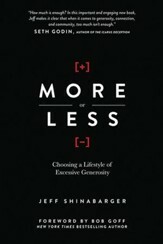 "The More of Less is a great guide to starting and maintaining a life of simplicity." "Joshua Becker is simply promoting a way to do life that is more than attractiveits a really big idea that will radically change lives. Read it." "Joshua Becker is one of my heroes. The More of Less shows all of us how to embrace the joy of less and in so doing how to live a richer, deeper, and more intentional life. If youre struggling with too much stuff and too little happiness, here is your must-read." "Despite all the books and blogs Ive read about minimalism, and in spite of all the minimalists Ive talked to, I came to The More of Less a skeptic. Why say yes to an idea that says youve got to have less? By the end, thoughthanks to Joshua Beckers gentle, simple, persuasive way of explaining thingsId thrown out a bunch of stuff, and I was a convert. Hes right; minimalism isnt about less, its about more." I'm the author/artist and I want to review The More of Less: Finding the Life You Want Under Everything You Own.